Ever find yourself watching a movie or reading a story and wondering what the “bad” guy’s problem was? And when there’s no real motivation, do you find yourself disappointed? Unable–or unwilling–to suspend your disbelief and stay with the story? Believable villain motivation separates the memorable stories from the forgotten ones. When you can help your reader connect with, even empathize with the villain in your manuscript, they will forgive all kinds of crazy schemes and tactics that the villain uses to get in the hero’s way. This doesn’t mean giving away everything right at the beginning of the story, either. It’s ok not to understand exactly why a character does something. But you have to give the readers a sense, a hint, an inkling, of what’s going on inside your villain’s mind. Otherwise we don’t care. As your character’s motivations become more clear throughout the story, your reader develops more empathy with the villain. This can sometimes even raise the stakes. The more powerful the cause your villain has for his evilness, the more important it is for the hero to defeat him. My favorite example of villain motivation is in the Harry Potter series (of course). Let’s take a brief look at Voldemort throughout the series. In books 1-4, Voldemort’s basic motivation was returning to his corporeal state. Completely understandable, of course. Who wouldn’t want to return from a weird, amorphous half-life to flesh-and-blood? (If you wouldn’t, let me know in the comments). In books 5-7, Voldemort has two goals. One, to be the most powerful wizard (and therefore the one in control of all the other wizards) and two, to kill Harry Potter. Being powerful is more than just about being in control for Voldemort. It’s about staying alive. If he doesn’t control everyone, then he will surely be killed. He’s done enough horrible things in his previous quest for power that he’s made plenty of enemies. He has to kill Harry to prove he is the most powerful wizard. Rowling sets us up to understand that fairly early in the series, and confirms it by the end of book 5. 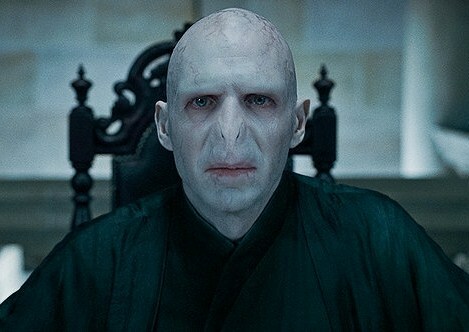 As the series progressed, Voldemort’s motivations became more complex, but at the same time remained the same. He wanted to live just as much as Harry did. The reader can understand that, can even get behind some of the steps he takes to achieve that goal. The difference is that the readers wanted Harry to live more than they wanted Voldemort to live. It’s important to recognize the role that back story plays in strengthening the villain’s motivations. When the time is right and you share that back story with your readers, the conflict becomes more powerful and your readers become more invested in the final outcome. So don’t neglect your villains! Don’t let them be evil just for the sake of being evil. The better the villain’s motivations, the better the story. That’s an interesting way to sum up LV’s motivations, thanks for sharing. A friend and I were talking about his motivations, but more than that, questioning how he got such a strong following. If you treat your minions as completely disposable, will they remain loyal to you out of fear alone? There are examples of LV allowing the marginalized creatures power and roles that they’d never had before, but it still didn’t ring true to her. Especially with your view of his motivation being to live/become powerful so he can’t be killed, it seems like he would begin to see even his most loyal followers as necessary sacrifices. It seems fairly clear that he never really trusted anyone, no matter how loyal they seemed to him. I think he knew just how much buy-in to get from strategic players that helped him maintain his position of power. But the more power he had the more isolated and threatened he felt.